My husband doesn't do a lot of cooking, except for grilling and the occasional meat dish. (Man food?) 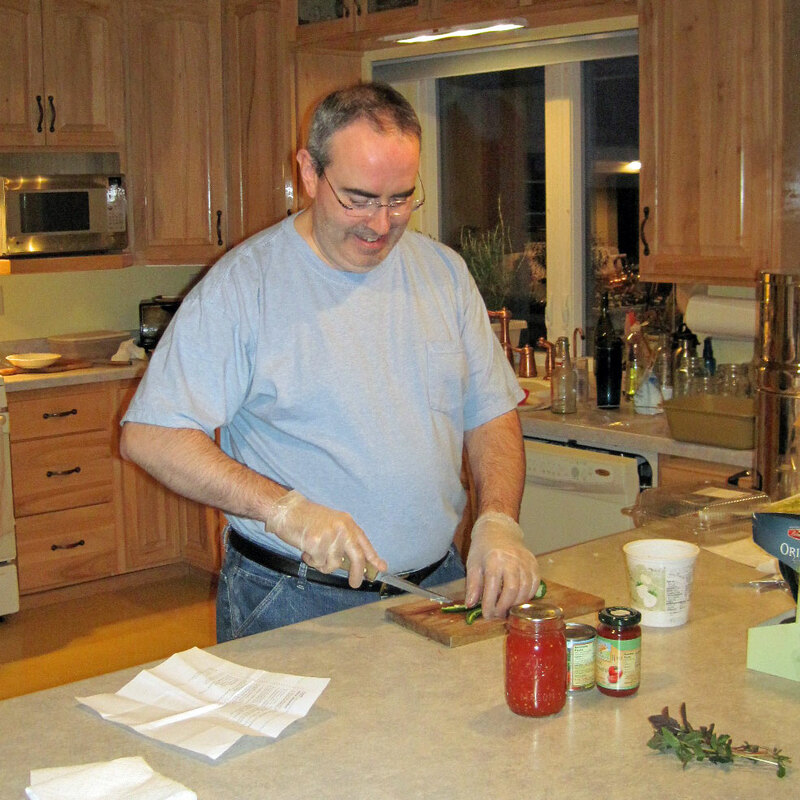 I was tickled when he took over the kitchen for Mother's day and made up a batch of spicy chili. It was pretty good, satisfying the cravings he's been having lately for spicy food, and satisfying my cravings for a day off from cooking. 😉 I figured I'd pass it along. In large (8 qt) heavy duty pot, brown and drain meat. Set aside. Sauté onion and garlic. Add peppers, cook until tender. Return meat to pan. Add other ingredients (except topping). Simmer on low heat for at least 2 hours – more is better. To serve, set out toppings and allow guests to add their favorites to their bowls of chili (or keep it naked like the photo). Here he is hard at work chopping hot peppers. Don't forget the gloves – the peppers can burn. 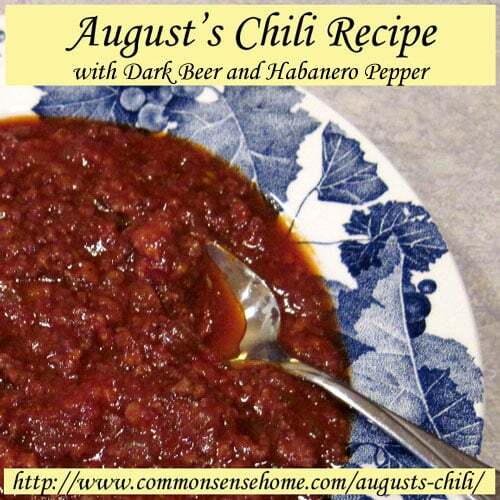 I hope you enjoy the chili recipe. Don't skip the dark beer – it adds just the little “somethin-somethin”. Thanks, Colette. I always think he looks so cute in the kitchen, and I sure appreciate the break from cooking. Thank you, Lisa. This was much nicer to see than the person who just randomly responded with profanity. 🙁 Some people really make me want to hang out with my ducks more.